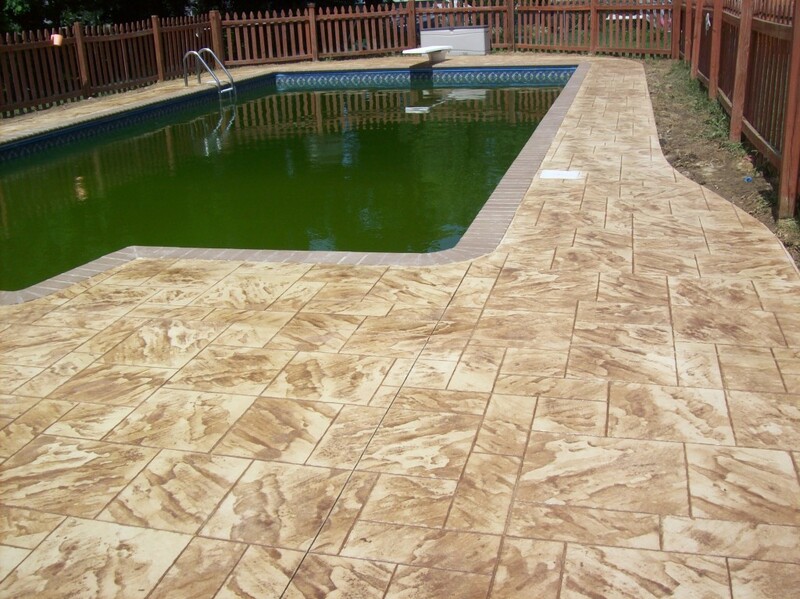 The owners of this pool in the Annapolis area were interested in adding a decorative touch to their pool deck. 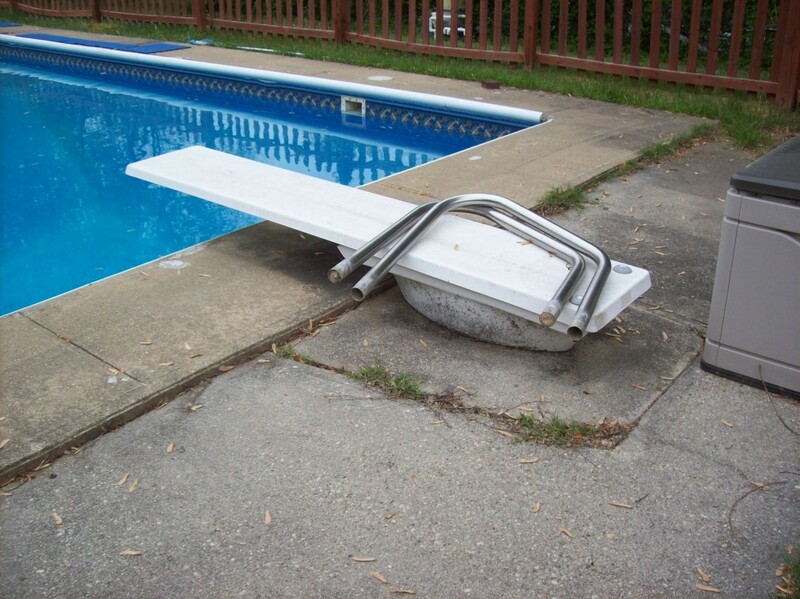 The contacted Maryland Curbscape and together we formulated a new design to highlight the pool and add flair to the backyard. We carefully inspected the surrounding surfaces and found them to be structurally strong. 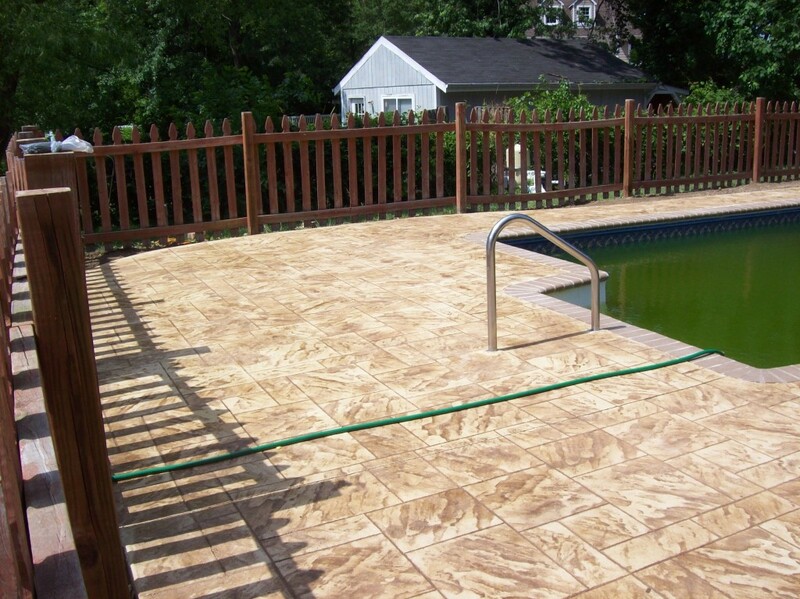 This meant we are able to utilize the existing deck and resurface it, making for a more attractive cost quicker project completion. These factors were certainly appealing to the homeowner. 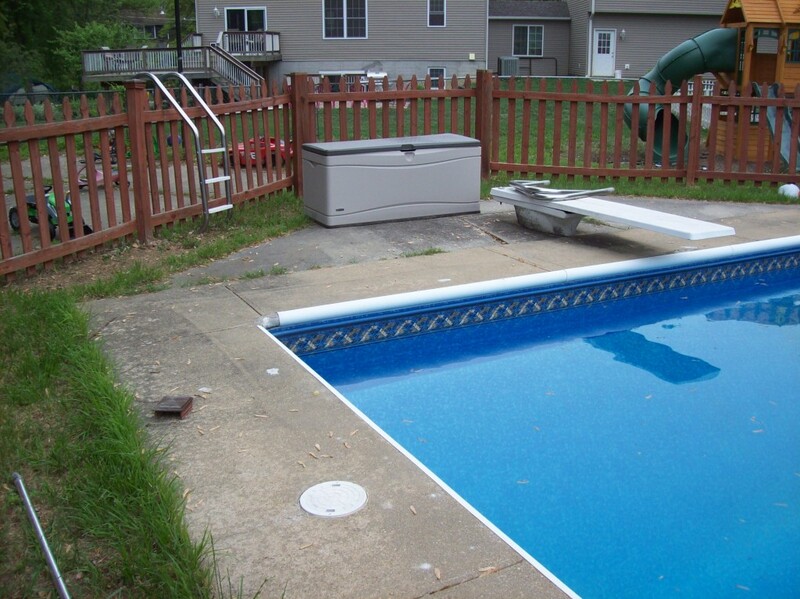 The diving board was still in really good shape, so we were able to put the concrete around it, which also was less invasive. We also were able to widen the pool deck to meet the fence, allowing for more deck surface which increases entertaining and recreational space. 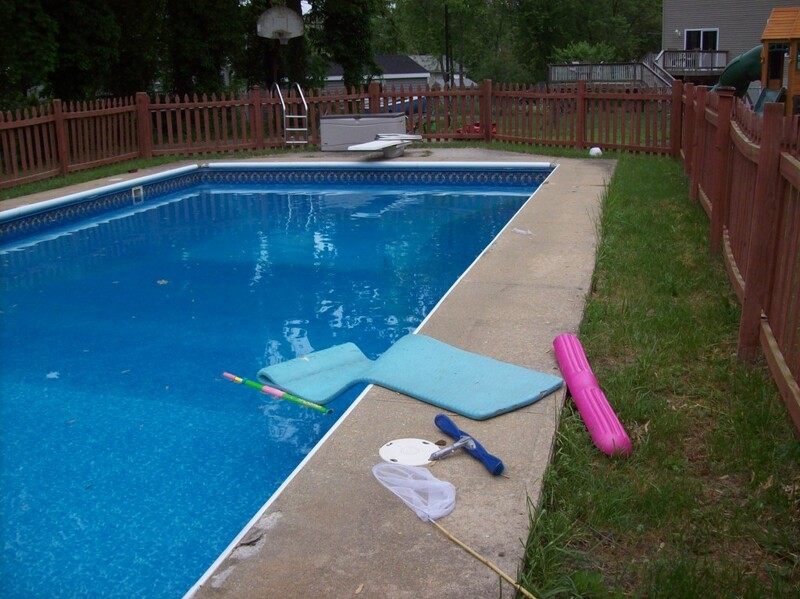 If you are interested in a project similar to this Annapolis pool deck resurface, contact Maryland Curbscape. 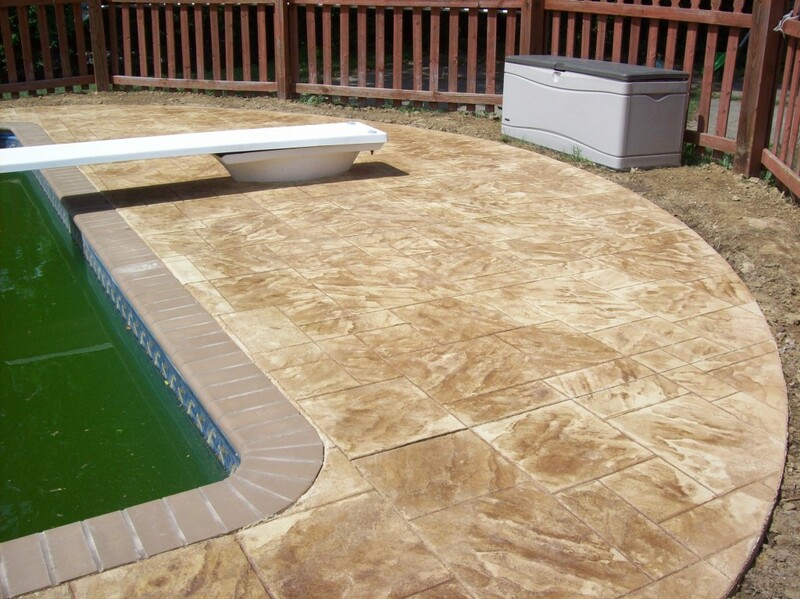 We have a variety of styles and colors to suite your design concept. We will carefully consult with you to formulate the best design to suite your concept. 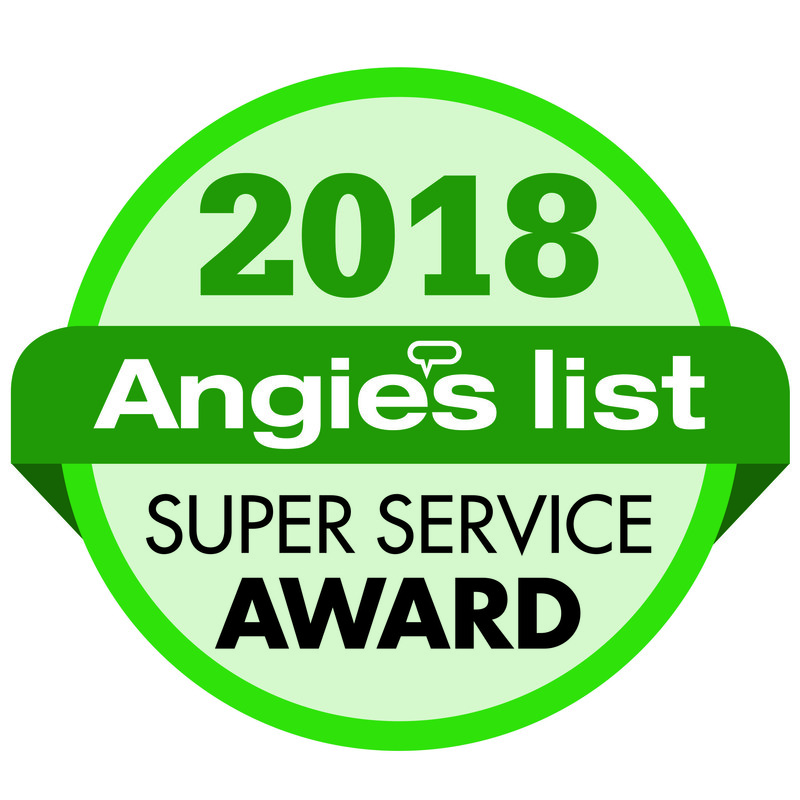 Our skilled contractors take pride in their work and propose a quick turnaround with the least invasive strategy possible.